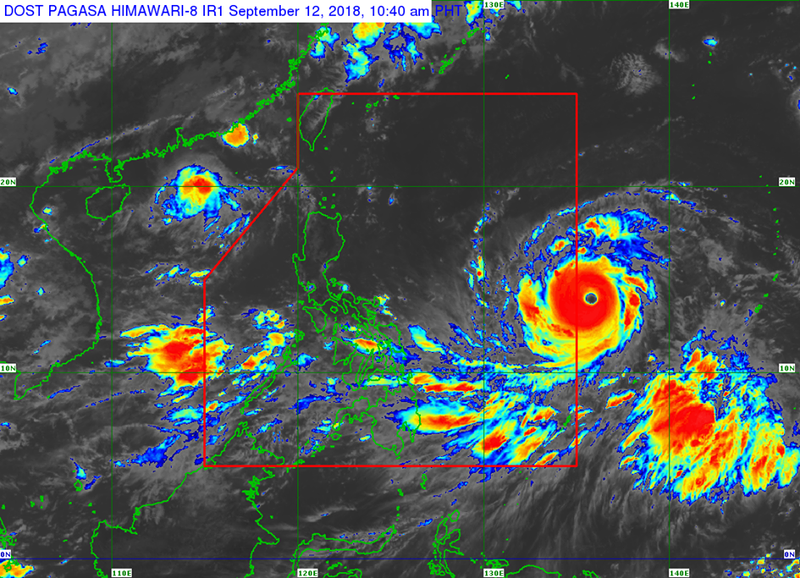 MANILA, Philippines – Typhoon Mangkhut (international name) has further intensified and expected to enter the Philippine Area of Responsibility (PAR) on Wednesday afternoon and will be named "Ompong", state weather bureau PAGASA announced in a weather bulletin issued at 11:00am today, September 12. The eye of Typhoon 'Mangkhut' was estimated on all available data at 1,190 km East Northeast of Guiuan, Eastern Samar (OUTSIDE PAR)(13.8°N,136.3°E). 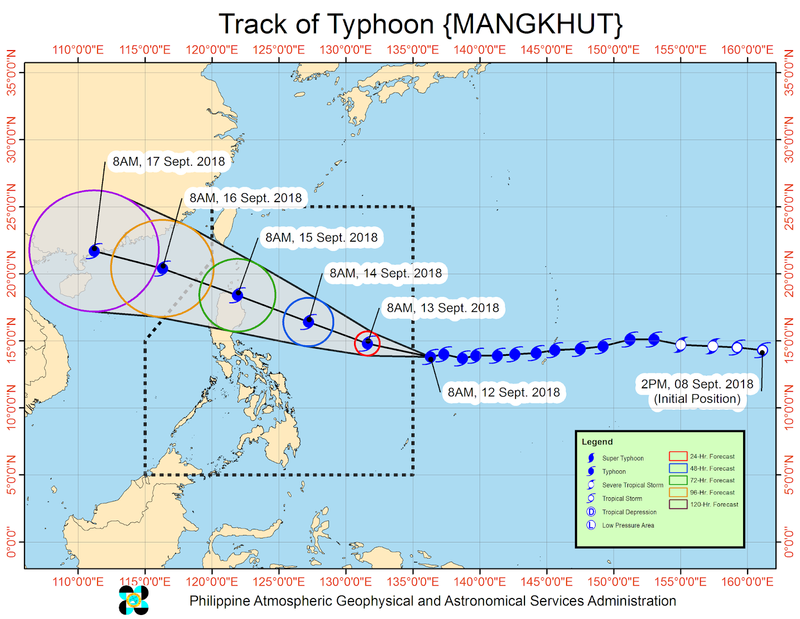 'Mangkhut' has maximum sustained winds of 205 km/h near the center (near super typhoon level) and gustiness of up to 255 km/h. It is moving West at 20 km/h. Tropical Cyclone Warning Signal #1 (TCWS#1) may be raised over Eastern Luzon as early as tonight or tomorrow early morning(September 13). 'Bagyong Ompong' may traverse the Cagayan-Batanes area around Saturday(Sept 15). Heavy rains and strong winds possible over Northern Luzon and parts of Central and Southern Luzon. Surrounding seas will be rough to very rough. May enhance the “Habagat” which will bring occasional rains over Palawan, Mindoro Provinces and Western Visayas by Friday and Saturday.